This Book of Memories memorial website is designed to be a permanent tribute paying tribute to the life and memory of Teddie Harvley. It allows family and friends a place to re-visit, interact with each other, share and enhance this tribute for future generations. We are both pleased and proud to provide the Book of Memories to the families of our community. Teddie D. Harvley, 53, of Greenville, went to be with the Lord on Monday, February 12, 2018. He is survived by his loving wife of thirteen years, Julie Marie Harvley, his sister Brenda Riggins, his brother Dean Harvley, his sister in laws; Melissa Anderson, Amy Anderson, Jennifer Garrett, Dianne Harvley (Dean), and Pamela Lake, his brother in laws; Jonathan Garrett, Joshua Garrett and Jacob Garrett, his in laws Betty Garrett, Johnny Mac Goodman Jr. and Wayne Anderson, his nieces; Alyssa Smith, Serenity Anderson, Ariana Gage, Sophia Anderson, Dianna Smith, Jessica Harvley, and Michelle O'Kelly and his nephews; Jamal Smith, Isaiah Smith, Jace Smith, Jake Harvley, Todd Hammond, and Sincere Garrett, and his God son Rylan Nelson. Teddie had a great love for his family, especially his wife Julie. He loved spending his time fishing and hunting and will be remembered by his family as being hard-working, creative, and intelligent. 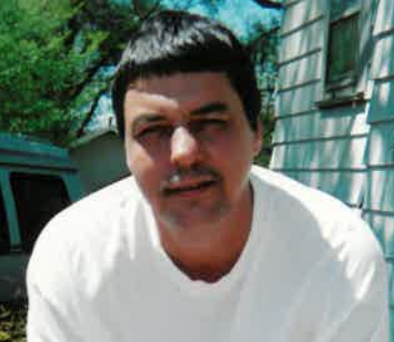 He was preceded in death by his sister Diann Nalley and his parents Clyde and Christine Harvley. The visitation will be held on Thursday, February 15, 2018 at 1:00 pm at Palmetto Mortuary at 1017 Mauldin Road, Greenville, SC with services to follow at 2:00 pm. To send flowers to the family of Teddie Harvley, please visit our Heartfelt Sympathies Store.